Wine labels used to be as austere as fine Chablis, and bottles as heavy as one of Babe Ruth’s bats. The aura was highly classical, with labels displaying coats of arms, Renaissance-style lettering, and lines as fine as those inscribed by monks wearing dark robes and wielding goose-quill pens. And then came the wind-down of the 20th century. Manners and morals and styles changed. Printing techniques changed. Modern art came to the fore, perhaps starting when Baron Philippe de Rothschild employed real artists, and not just calligraphers. And this in a day when artists were better known than winemakers, or wine writers. And then Randall Grahm arrived, and others of his strange and wonderful ilk. Pretty soon punsters and word-players came forward and led wine labels down a less-serious pathway. As time marched on (a little fanfare here, please), winemakers and wine sellers, looking to marketing, cost control, increased profits, and other hallmarks of the 21st century, turned to packaging. They thought of lighter packages, saving shipping costs and enabling them to use energy conservation as a p.r. ploy. They thought of avoiding glass bottles, eliminating breakage and waste, and increasing let’s-take-some-to-the-picnic sales. The interest in what the package looked like suddenly took precedence over what was inside it, but with a lot of wine out there and some resistance against buying plonk in a box, quality also improved. Recently I’ve tasted a variety of wine in inexpensive non-glass packages from a number of companies. Among them are Underdog Wine Merchants, using three-liter boxes from Octavin Home Wine Bar, with 10 reds and whites from California, New Zealand, Spain, and Hungary, selling for between $22 and $24. Along the way, someone from Underdog acquired the rights to use the Big House name and label design, made famous by Grahm but no longer under his ownership. 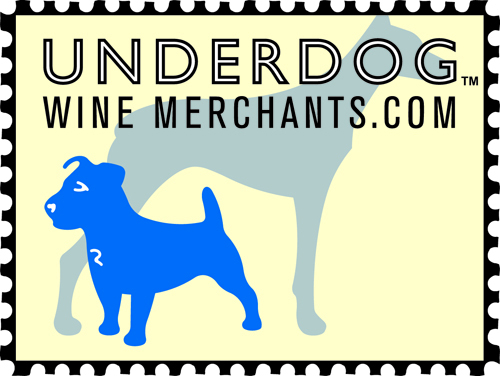 Adam Richardson, the director of winemaking for Underdog, claims that one Octavin package, compared to four regular bottles (four 750s equals three liters), reduces packaging waste by 92 percent and carbon emissions by 55 percent. Cal Naturale uses recyclable Tetra Pak paper cartons in one-liter and half-liter sizes for Paso Robles, California, Cabernet Sauvignon and Chardonnay, as does a Mendoza, Argentina producer, Vinas de Alto Salvador, offering Yellow & Blue Argentine Malbec. Why would you call a red wine Yellow & Blue? Well, that’s the color of the box, and one side notes, “Blue+Yellow=Green,” an allusion to the facts that the grapes are grown organically and the packages are recyclable. The wine is imported by J. Soif, Inc., Chester Springs, Pennsylvania, and retails here in St. Louis for $10. A number of producers and importers like Sassie Vintners and Distillers of Toronto and Boisset America of Sausalito, California, along with Louis Bernard of the French Côtes du Rhône region, are using polyethylene terephthalate bottles that look much like the traditional Burgundy bottle. While they have a different feel, recognizable at first touch, the bottles hold 750 milliliters, have a screw cap, and are about half the weight of glass. The Sassie bottles are silver, making them stand out on a display. Sassie also has a big business in South African wines. 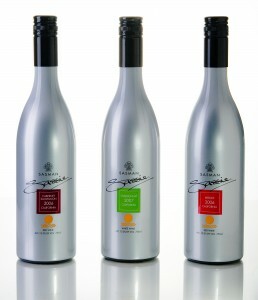 Its current project involves three from California: a Chardonnay, a Merlot, and a Cabernet Sauvignon, all around $10. Boisset, long a familiar name in French imports, is bringing a 2007 Bonus Passus Côtes du Rhône from Bernard. A traditional blend of 80 percent grenache, 12 percent syrah and 8 percent mourvèdre, it’s also a real bargain at $8 retail. Bonus Passus, by the way, is from the Latin “good passage,” marking a point to cross the Durance River, a tributary of the Rhône in the Vaucluse area, near Avignon, colonized by the Romans a millennium or two ago. All the packagers claim that the wine will store easily and will stay fresh for at least six weeks after opening. As tasty as the wines are, that does not appear to be a problem with standard sizes, and taking the three-liter box on a picnic or other outing with a half-dozen people rarely results in leftovers. I tasted a large number of the wines and found two distinct favorites, the Louis Bernard ’07 Côtes du Rhône among the reds and the 2009 Silver Birch Sauvignon Blanc from New Zealand among the whites. The latter, part of the Underdog Group in three-liter packages, was an exemplary wine, with outstanding grapefruit notes in the aroma and flavor. It’s crisp and clean, typical of the superior Sauvignon Blanc offerings from New Zealand. The Rhône was full-bodied and extremely fruity, typical of the delicious, slightly rough wines from that part of France. In fact, all the packaged wines were passable to good, and when the price is factored in, they’re a delightful bargain. Seeing an import from France at $8 is almost mind-boggling. The Cal Naturale Cabernet Sauvignon, the Blue and Yellow Malbec, and the Big House Red, a Rhône-style blend, all would work with pizza or hamburgers, or a roast beef sandwich from the picnic basket. They lack finesse and are not as subtle as other reds on the market, but they’re good companions for simple fare and, once again, the prices are right. The Chardonnays, from Monthaven on the California Central Coast (Underdog) and Sassie, were passable, but were rather bland, especially as compared to the New Zealand Sauvignon Blanc. Along with screwcaps, non-glass packaging seems to be the future of wine, especially in the lower price ranges. But these are not new-fangled discoveries. I remember, on some early visits to France, that a great deal of inexpensive wines, sold in grocery stores as well as wine shops, came with a crown cap—just like Coca-Cola. Joe Pollack has been writing and talking about sports, wine, food, entertainment and other happy subjects for more than 50 years for newspapers, radio and TV stations, magazines, newsletters, blogs and other means of disseminating words and opinions. He has children and grandchildren scattered throughout the world and a wife, Ann Lemons, who is a good writer and an even better cook. He writes at St Louis Eats. I recently bought a case of “Yellow + Red” Malbec in “Tetra Pak” cardboard containers lined with BPA. 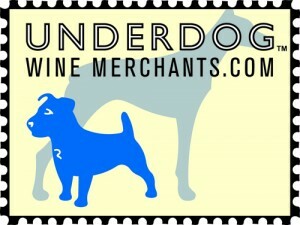 The vendor, Shoppersvinyard.com, did not identify the “organic” wine product as packaged in a BPA contaminated container. I will never use Shoppersvinyard.com again, I will never buy “Yellow + Red” products ever again, and I will use the Malbec as weed killer.